If you’re looking for a budget-friendly escape, you’ve come to the right place. 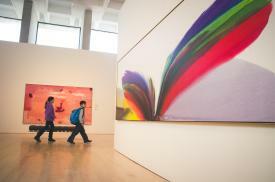 Chattanooga is rife with opportunities, from outdoor festivals to art museums. And nothing can beat our city’s natural beauty, which you can take in without spending a dime. So tighten your purse strings and pinch your pennies…it’s time to finally take a vacation that doesn’t bust your budget! The Hunter’s beautiful collection of prominent American art is rivaled only by its breathtaking views of the river and city skyline. It’s certainly worth the “hike” up the hill, because all of this eye candy is available at $15 for adults and children/youth under 17 are free. If you&apos;re really trying to stretch that dollar, admission to the Hunter Museum&apos;s permanent collection is free on the first Thursday of every month, from 4 to 8 p.m.
Just one visit is all it takes to understand why the Chattanooga Zoo has been called “The Best Little Zoo in America.” And it’s only getting better with recent additions like Deserts and Forests of the World, which includes cuddly Fennec Foxes and Meerkats as well as creepy naked mole rats and komodo dragons. The best part: a family of four can enter for less than $40 ($10.95 for adults, $7.95 for kids, FREE for kids 2 and under). Red wolves, urban coyotes, bald eagles, and barn owls are just a few of the animals you can encounter at this wildlife preserve. In addition to to meeting a few furry friends, visitors can explore miles of hiking and biking trails, paddle down Lookout Creek, and check out the Discovery Treehouse. In fact, there’s over 300 acres to explore, plus plenty of great picnic spots for free (donations are accepted). Hiking, biking, caving, and scenic drives are all possible at Raccoon Mountain. Raccoon Mountain Caverns will submerge you into a strange world of stalactites and flowstone, while a drive around Raccoon Mountain Reservoir offers impressive views of the city as well as the 12 billion-gallon manmade lake. A tangle of hiking and biking trails surround the reservoir, offering cheap thrills for adventurous tourists. 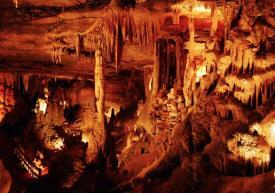 Speaking of cheap, everything is free except the caverns ($17.95 for adults, $10.95 for kids ages 5-12). When you’re on a budget, nothing beats “FREE.” Enjoy Chattanooga’s natural beauty by taking a hike. The options are endless, but check out Outdoor Chattanooga for suggested routes. Some popular trails include Craven’s House/Point Park, Cloudland Canyon, Cumberland Trail, and Coker Creek Falls. Coolidge Park is a must-see for budget travelers. 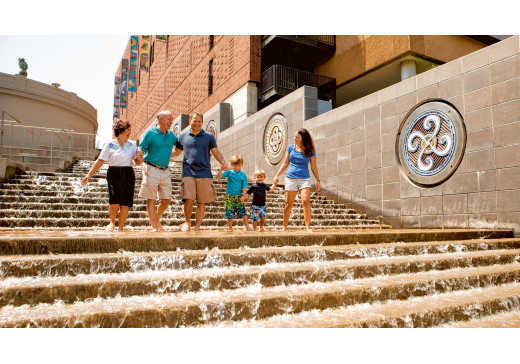 Located on Chattanooga’s Northshore, it offers expansive green space bordering the Tennessee River, an interactive water play fountain, and $1 carousel rides for little ones. If you&apos;re feeling adventurous, take a climb on “The Walnut Wall,” a 100-year-old limestone foundation for the Walnut Street Pedestrian Bridge. Speaking of, take a stroll across this landmark (it&apos;s one of the longest pedestrian bridges in the world!) for the best view in the city. 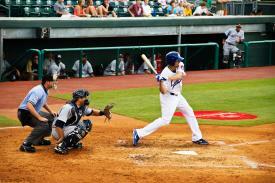 With tickets ranging from $4-10, you’re certainly not going to break the bank watching this Minor League team. And unlike other stadiums, they don’t gouge you on food and drinks. Two people can easily catch a game for around $30. We can’t claim the “Music City” title, but at least in Chattanooga we’re kind enough to share great tunes for FREE. Gratis concerts are held throughout the year showcasing talented acts from across the country. Nightfall occurs each Friday night from May through August. Another free summer concert series, Riverfront Nights falls on Saturdays in August and September and the Chattanooga Market features quality acts during the season (April-November). Finally, bluegrass fans cannot miss the 3 Sisters Bluegrass Festival at Ross’ Landing, held annually in October. 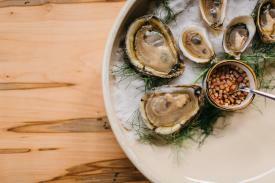 This swanky downtown bistro is decidedly not budget, but on weekdays beginning at 5 p.m., they offer select oysters from all three seaboards for just $1 each – a great way to feel upscale on a budget. Located right in the heart of downtown, Mellow Mushroom regularly offers great deals like $3 select pints on Tuesdays, weekday happy hour specials, and Dinner & a Movie deals. 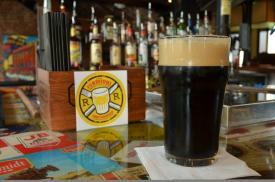 Chattanooga’s first brewpub is still going strong thanks to premium craft beer and a delicious menu at reasonable prices. The Terminal Brewhouse has something for everyone - and it won&apos;t break it the bank. Enjoy a variety of salads, locally sourced Bison burgers and pizzas, and mouthwatering sandwiches – all washed down with a housemade craft beer. Looking for more free activities and things to do in Chattanooga? Check out this blog.